Leitrim, Cavan, Longford and Roscommon join forces to attract graduates to the region and create employment with proven success. 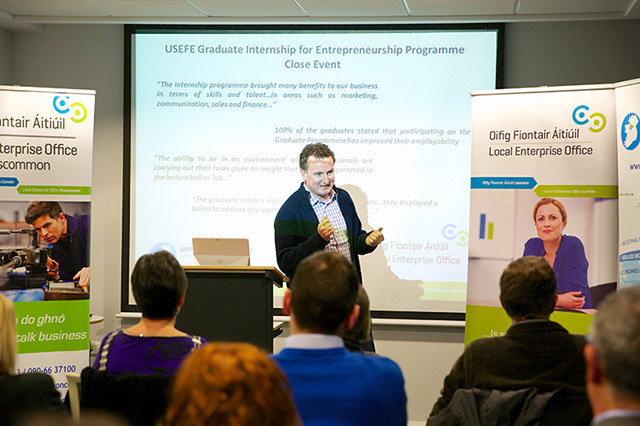 Last year the enterprise offices of the four counties joined forces to deliver a high quality Graduate Internship for Entrepreneurship Programme. Their aim was to attract graduates to the region and create employment. A collaborative programme was formed by bringing together academic institutions, enterprise bodies and 22 SMEs to facilitate the placement of graduates or final year students in start-up companies, innovation-oriented companies, and entrepreneurial social ventures in the region for a six month period. 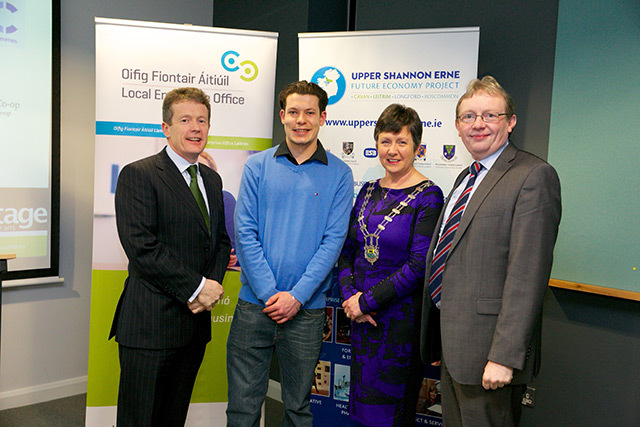 Funding for the programme was received from the LEO Competitive Funds Fund. Speaking at an event in the Hive this week to mark the completion of the programme Donal de Paor, CEO of Veltig said ‘…the programme has been instrumental to our ability to continue to develop new ideas. We offered employment to our graduate at the end of the programme and have created an additional post for another graduate. I would highly recommend this programme to employers in the region. The programme provided internships from a wide variety of sectors including food, manufacturing, forestry, energy and tourism. Given the great success in 2017 the four enterprise offices intend to run the scheme again in 2018 with eight placements expected to come on stream. The project under which this scheme ran is the Upper Shannon Erne Future Economy Project. It is a partnership project between four local authorities, (Leitrim, Roscommon, Longford and Cavan) ESB, and Boad na Mona.